DISPLAYING utter contempt for the 1999 Constitution he swore to uphold, President Goodluck Jonathan has sacked Suleiman Abba as the Inspector-General of Police. He replaced him immediately with Solomon Arase, a Deputy Inspector-General, in an acting capacity. Both the dismissal and the acting appointment are gross violations of the 1999 Federal Constitution, Nigeria’s supreme law. Without citing any cogent reason, the President unceremoniously fired Abba, who assumed office nine months ago. Sadly, however, these actions are in keeping with the trend of impunity in the Jonathan administration, which has consistently conducted itself in an imperial manner, to the detriment of the rule of law, the common good and growth of our democratic norms. They have all the trappings of using power for selfish end. The constitution, in the Third Schedule L (27), lists the composition of the NPC as the President (Chairman), governor of each state, Chairman of the Police Service Commission and the IGP. All the recent capital that Jonathan garnered when he conceded defeat to Muhammadu Buhari after the March 28 presidential ballot has been wasted by this breach of the constitution. Many observers – local and international – praised the conduct of the police under Abba’s guidance. They not only appeared in neat uniforms, their conduct was passed off as being far better than in previous elections. Shortly after the March 28 polls, the National Peace Committee on the 2015 Elections, headed by a former Head of State, Abdusalami Abubakar, had commended the police “for their professional conduct.” This was also the position of the United States Ambassador to Nigeria, James Entwistle, who said the conduct of the Nigerian police would be a reference point for the 13 other African countries holding elections in the next two years. 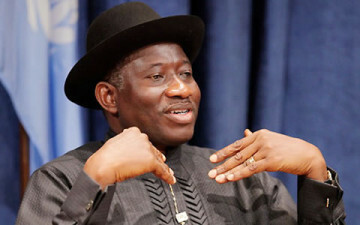 Yet, the uncommon speed with which Jonathan dismissed Abba is a stark contrast to the lethargy of the past five years. When Boko Haram extremists abducted 276 Chibok schoolgirls on April 14, 2014, Jonathan didn’t lift a finger for 18 days, by which time the girls had long disappeared. He spared Mohammed Abubakar, the then IGP, the military service chiefs, and the National Security Adviser, Sambo Dasuki, for their serial failures. Neither did Jonathan make any pronouncement on April 14, 2015, the first anniversary of the girls’ abduction, although the event was marked by other leaders the world over. Boko Haram, for the first time in Nigeria’s post-Civil War history, beginning from mid-2014, captured large swathes of Nigerian territory. Yet, the President did nothing to boot out the non-performing security chiefs. In comparison, Kenya’s president, Uhuru Kenyatta, apart from penning a personal letter to each of the bereaved families after al-Shabab Islamic terrorists murdered 150 students of the Garissa University on April 2, suspended some security chiefs. In December 2014, Kenyatta had sacked his security minister and accepted the resignation of the police chief, just hours after al-Shabab insurgents killed 36 quarry workers in the Mandera County. In a case that dates back to August 2011, the outgoing President refused to reinstate Ayo Salami, then president of the Court of Appeal. This was after the National Judicial Council, which had initially recommended Salami for suspension, had cleared him of wrongdoing in May 2012 over his altercation with Aloysius Katsina-Alu, then the Chief Justice of Nigeria. Salami was never reinstated to his post until his tenure ran out in 2013. Under Jonathan’s watch, the spectre of arbitrary – and suspicious – sacking extended to the corridors of the Central Bank of Nigeria. In February 2014, the President fired Lamido Sanusi, the then CBN governor, shortly after he accused the Nigerian National Petroleum Corporation of not remitting $20 billion of crude oil revenue to the Federation Account. Although Sanusi headed for the court, Jonathan stuck to his guns, appointing a new helmsman immediately even when the audit report had yet to be concluded. Similarly, when the Minister of Interior, Abba Moro, staged a fraudulent Nigeria Immigration Service recruitment scam that caused the death of 18 people in March 2014, the President looked the other way. The President appears to move only when his personal interests are affected. For Nigeria to grow, however, the country has to live by the rule of law and selfless leadership. It is important for the incoming administration of Buhari to obey the rule at all times: all appointments and terminations should be done in accordance with the dictates of the law and in furtherance of the public good.